Ned Henry is totally Time-lagged although he will tell you that he isn’t. He is above all most certainly NOT suffering of Maudlin Sentimentality. This is probably the cause of what came next though. Or was it before? …although he presents all of the symptoms including lack of concentration (and Maudlin Sentimentality) which explains why and how he ends up in Victorian times with a new mission and little idea of how to go about things. All he knows is that Verity Kindle, another historian working for the same project, brought back to the future something she wasn’t supposed to and now Ned needs to prevent it from happening as to not cause any incongruity that could affect the space-time continuum. Which is how, he finds himself going up-river in a boat with two other fellows he just met (and who might or might not be from the future) to say nothing of the dog, Cyril. And that’s only the beginning of what proved to be one of the most clever, hilarious, romantic reads and I loved this book with the force of a one point twenty-one giggawatts-powered flux capacitor. To Say Nothing of the Dog is a mixture of science fiction (although not hard Scifi, it is easy to follow everything that is happened and there are no in-depth explanations as to how exactly time travelling works but that is not the point so it didn’t bother me) , romance (as Ned falls in love), adventurous romp, mystery, and comedy. The comedic elements of this novel in fact, made me laugh so hard I cried – it is just the sort of British humour I love and it’s smart and subtle and not overly explained. Plus, those crazy VICTORIANS! Séances! Princess Arjumand! To me though, the best thing about the novel is how it intelligently examines the idea of time and history and these become part of the structure and narrative themselves. Two secondary characters argue about what drives history i.e. a Grand Design or Grand Characters and Ned’s narrative is constantly incorporating those ideas when thinking about what is happening because they actually make sense when combined. Say for example that an important outing is cancelled by rain: that would prompt Ned to think about how Weather (good or bad) can affect events (for example, Fog diverted the Lusitania into the path of a German u-boat). I promise, it is not as info-dumpy and dry as I make this sound. Quite the contrary; plus it’s fascinating, interesting and often hilarious. Another familiar theme of time travelling stories is the idea of free will x determinism and although I can’t dwell too much because of spoilers To Say Nothing of the Dog opens a veritable can of worms close to the end of the novel and sent me out for a loop. I thought about this for days after reading the novel. As you can probably tell I loved this book. The only thing that would come close to a negative element is how little I knew about Ned – for a character that narrates and carries the story I felt oddly detached from him (even when rooting for him to hook up with his love). Perhaps that is part of the point in how little individuals matter in the grand scheme of things? But they matter to me when reading a book. It says a lot about how the plot, the ideas, the comedy in the book, are so good that even a reader such as I, who loves character-driven novels was not bothered too much. Still, it is the one little thing that prevents me from giving this a rousing 10. Additional Thoughts: SO…my first Connie Willis went really really well and I want MOARS. Any fans in the house? Where should I go next? I still need to read more Connie Willis, but damn do I love Doomsday Book. I wouldn’t have labeled “To Say Nothing of the Dog” as a pure stand-alone, more of a stand-alone within a specific universe, if that makes any sense. Characters from “Doomsday Book” show up in TSNotD and in “Blackout”/”All Clear” though not necessarily as main characters. 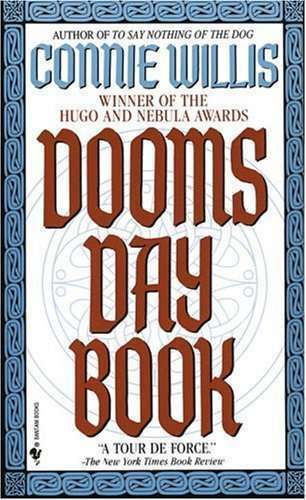 “Doomsday Book” was written before TSNotD and it also has a vastly different tone (dead serious as opposed to the comedy of TSNotD). I haven’t read “Blackout” but I know it’s really Part 1 of the “Blackout”/”All Clear” “book” so if you read one you need to read the other right after to finish the story. I love this book so hugely much. It is high on my list of comfort reads, right along with Pride and Prejudice. It is just hilarious and smart and utterly perfect. I respectfully beg to disagree with David H; Doomsday Book is HILARIOUS. It is also, on the other hand, unrepentantly sad. Prepare your heart to be RIVEN. But in the best way. Read that next, is what I’m saying, especially because Blackout is only the first half of what is really one book in two covers. The sequel – All Clear – came out last fall. Also, read Passage. Read everything Willis has written, how about. But read Doomsday Book next. It may be my favorite book ever. Oh! And for a book that is more similar to To Say Nothing of the Dog, I’d recommend Bellwether. It is similarly light and romantic, whereas Doomsday Book and Blackout are a little darker and less fun. Still excellent, but the don’t make me giddy in the way To Say Nothing of the Dog does. Bellwether deals with predicting trends and has a similar amount of historical details worked in. The romance isn’t as strong, but I still really enjoyed it. I would love to read To Say Nothing Of The Dog again, what a fun romp it was. Your review of this most delightful book was spot on both in rating and tone! 🙂 I, too, urge you on to both Doomsday Book and Bellwether, though really, Willis’s writing is such a delight, you can’t really go wrong! I LOVE To Say Nothing of The Dog, and I would agree that you should go from there to Doomsday Book and then read Blackout/All Clear (actually between Blackout and All Clear I recommend reading her novelette Fire Watch which is her first story set in this world and won the Nebula). Also, if you get the chance you should go and see her read or talk, I got to go to the talk for the All Clear release and she’s hilarious. Connie Willis says that Bellwether is the other book that people tend to start with and love. I had a hard time getting into it the first time I tried to read it, but I need to go back and try again. Are you sure this is a good book? I usually trust your opinion but time travel? The last time travel book I read was The Time-Traveler’s Wife and it was horrible! I didn’t finish it. It made me hate anything related to time-travel or the name Henry ugh! I read this book ages ago and loved it, even if I did get confused at times. Time-travel + Victorian era = awesomeness. So glad you loved this one! I am determined that I am going to read Doomsday Book myself this year! I had so much fun with To Say Nothing of the Dog. This is probably my all-time favorite book. I’ve read it a zillion times and never get tired of it. I also managed to find my way around Oxford based on what I remembered of descriptions from the book, and when I got lost, I always managed to end up in the same place Ned did. Weird. I’ve read Blackout/All Clear, and I would suggest reading The Doomsday Book first because that introduces some of the key characters in Blackout. You’ll get a lot more out of that story with the foundation of The Doomsday Book. The Doomsday Book is two parallel stories, one incredibly heartbreaking and tragic and one that manages to be very funny while still having serious stuff going on. And I wouldn’t even think to compare these books to The Time Traveler’s Wife. They’re not at all similar. These are more about history, not traveling within one’s own lifetime. Read The Domesday Book and then explore some of her other fiction. Hold off on reading Blackout/All Clear. It’s the first Willis I really _haven’t_ liked. TSNOTD has been in bookshelf TBR for, oh, maybe 2 years now. Clearly I must move it up. Oh, and I reading ‘Bleeding Violet’ at the moment – loving it as reader, a bit afraid of it as parent to a very new teen. This review was absolutely perfect in every way. This was my first Connie Willis book too. I read it last year, loved it and have been reading my way through all her other books since. I have to agree with what everyone else has said. You need to read Doomsday Book before Blackout/All Clear because it will give you a better sense of a couple of the characters. All three of them are awesome though. The other book of hers I’ve read is Bellwether and I thoroughly enjoyed that one too. Doomsday Book is wonderful. I also loved Firewatch. I heartily second the recommendation for “Fire Watch” and also for Doomsday Book, although I found the latter less on the delightful side (one character annoyed me for much of the story) and more moving. I mean, the medieval period is simply going to make for a grimmer everyday. It took more investment — I had a little trouble getting into it — but had quite a payoff. I’d count myself in the “pass on Blackout/All Clear” camp, which on the other hand took a lot of page count and mental concentration (more POVs and time shifts) and forgiveness of some nonsensical actions, but didn’t end up having much of an impact on me. But that’s partially because I found some elements far too familiar from her other works, which wouldn’t be as much of a problem for you. Doomsday Book and Blackout/All Clear are awesome. While I enjoyed it, To Say Nothing of the Dog is actually my least favorite in the series. Read Doomsday Book first like Brandy said. Oh, and sometime you have to read the authors whose humor TSNOTD is a tribute to: Jerome K Jerome and PG Wodehouse. I’d definitely recommend Bellwether – it’s a delight, not very long, and it was the first scifi book I ever got my former book club I used to read. And we had a great discussion, because Bellwether is about trends – and every tangent that we went on could be related back to the book. Well sheesh, everyone has already said DOOMSDAY BOOK! so I guess I don’t need to. And Bellwether was going to be my next recommendation, Hrumph. So I will put in a mention for the obviously underappreciated, very beautiful and very sad Lincoln’s Dreams. I’m actually reading this book now, after reading Doomsday Book, Blackout and All Clear (in that order). If you read Blackout next, like the other comments stated, you need to read All Clear right afterwards since Blackout ends in a cliffhanger. Now I’m trying to locate all our Connie Willis’ books to read. I didn’t think I would enjoy time travel books, but have to admit I loved these! Adding another vote for Bellwether (my copy is read to tatters) and the short story collection Impossible Things (in particular the stories Even the Queen, Spice Pogrom and Ado, but they’re all quite wonderful). DOOMSDAY BOOK! It is one of my all time favorite books. I loved this one so, so much. 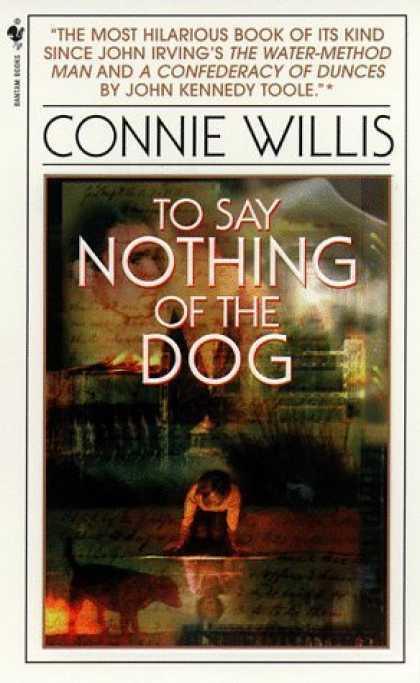 I read it about two months ago and have gone on a Connie Willis reading spree since. I didn’t like Doomsday Book that much, although I do respect the amount of research that went into it; I loved Blackout and All Clear. 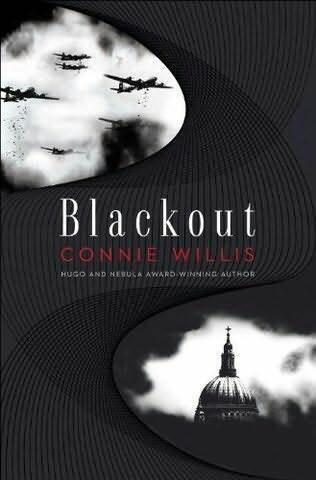 Just a note – Blackout is half a book. It cuts off right in the middle of the story. Blackout and All Clear together are one story that frankly, could have been shortened by a lot, but I love it so much that I overlook that. I have Impossible Things (short story collection), Blackout and Doomsday Book waiting to be read on my shelf, but I’m constantly on the look out for more. Definitely, definitely Doomsday Book, especially if you love history. She has also written a book called Passage, which is about a researcher who is examining near death experiences. Not as good as her other books, but an interesting read nonetheless. So I’m about a million, billion years behind, both on reading this book and this review, but I LOVE THIS BOOK SO MUCH. I’d already laughed my way through Three Men in a Boat and the entire Wodehouse oeuvre years ago, so reading this book was like meeting a friend of a friend and having an instant connection. I found myself neglecting my kid so I could read, and randomly grinning like an idiot in public when I remembered something about the book. I just want to inhale the rest of the Oxford books now.